All current and prospective contact lens wearers will need to have a Cornea Health Assessment during a routine Standard Eye Examination at IGARD. An appointment can be made here. The Health Sciences Authority of Singapore requires all types of contact lenses to be prescribed and dispensed by registered and licensed practitioners. 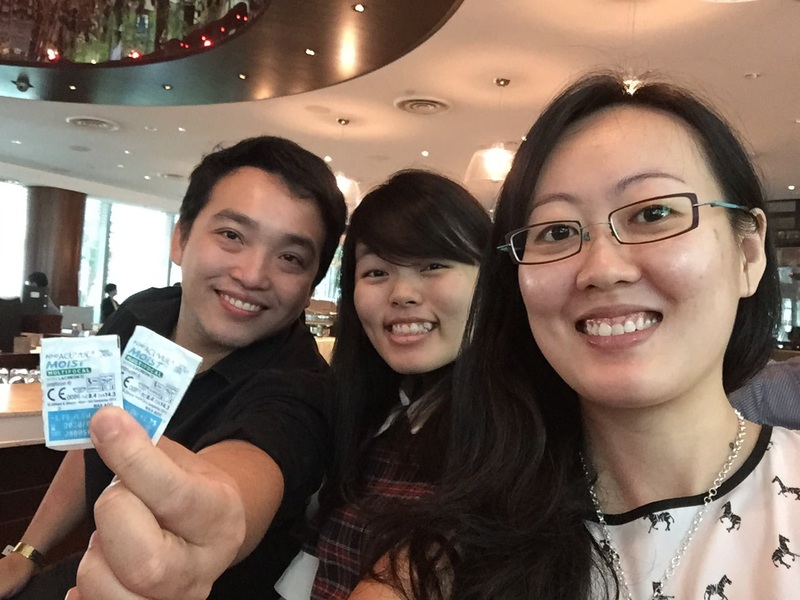 It is illegal in Singapore for shops or unqualified personnel to sell you contact lenses over-the-counter without the supervision of registered and licensed practitioners. Updates in Contact Lenses. 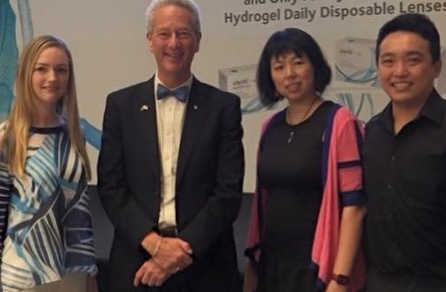 Senior consultant optometrists Rachel Kelly and Yap Tiong Peng (IGARD Group Singapore) with Senior Consultant Physiotherapist Carolina Lee (IGARD Group Singapore) and Professor Nathan Efron (Queensland University of Technology, Australia). 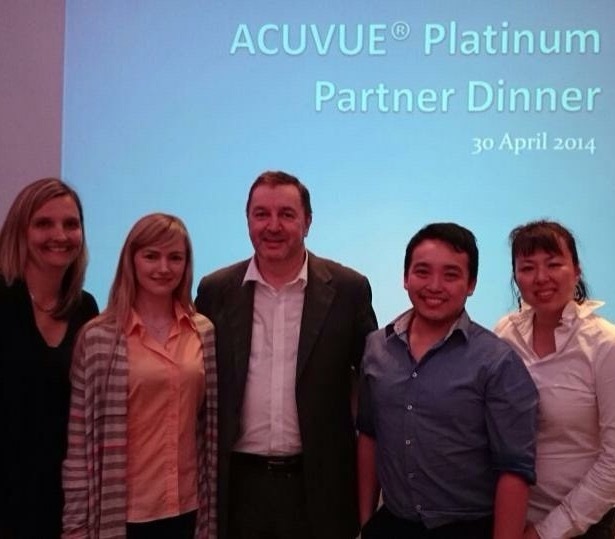 IGARD Group (Singapore) is proud to be a Platinum Partner of global contact lens leader, Acuvue, from Johnson and Johnson. Photo taken at the Acuvue Platinum Partner Dinner in 2014.